“Professor Strand, which is your favorite Harry Potter movie?” a student asked recently as class began. “Oh, yeah, right. Which book,” she said, unfazed. A few students murmured their understanding of her error, but most simply waited to see how much class time the question would chew up (a favorite pastime of my students: baiting instructor into digressive pop culture conversation). In 2005, I had the great pleasure of presenting at the Witching Hour in Salem, MA. It was my first national Harry Potter Conference. 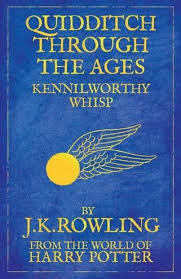 I loved the sessions I attended, though I was quite baffled by one item on the program: Quidditch. How, I thought, can they play Quidditch without flying? I was really interested in seeing this spectacle, and sorely disappointed when torrential rain cancelled the outdoor events. Since then, I have been delighted to see Quidditch played at other events, including Infinitus and Leaky-Con 2011. This wonderful, wacky, wizarding sport has grown beyond being a convention conversation piece, and the International Quidditch Association is seeking greater recognition, regulation, and revenue. 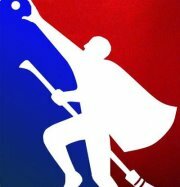 Check out this great article on the growing legitimacy of Quidditch, and then share your Quidditch thoughts! Do you play or watch? Or, like me, do you just explain any injury you may be sporting as the result of a rough Quidditch match? H/t to James and my college colleague John (who was asking today if I could hide my broom and wand in my graduation regalia). Beatrice Groves on Louise’s Pre-Cursed Child Post: Anticipation, Head-scratching, and Curry.